Raspberry Pancake Recipes are such a tasty treat at our home, that, in addition to making them for breakfast or brunch, I often make them for lunch or supper! And, of course, they are a "must do" for Pancake Day! 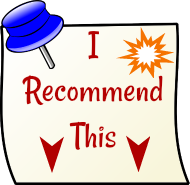 You can add fresh or frozen raspberries to pancake batter. Although plain pancakes are very tasty ... pancakes with fruit are tops! 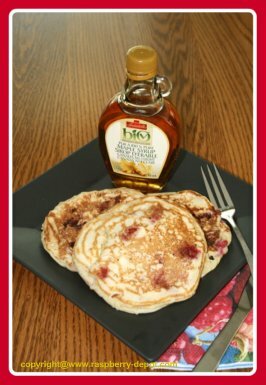 Everyone knows that homemade pancakes taste much better than boxed, store purchased pancakes! 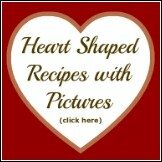 I like to make a large batch, and then store any left over in the refrigerator until the next morning. Whoever is lucky to be the first up for breakfast the next morning reheats the pancakes in the microwave, and, although not as tasty as when fresh, they are delicious reheated too! 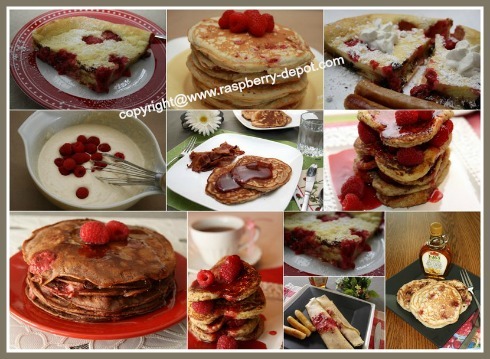 Raspberry PANCAKES - "Dutch Pancakes"
Interested in Making Homemade Raspberry Syrup? Raspberry Pancakes may include whole wheat flour, white flour, or almond flour (for those who cannot tolerate wheat in their diet). You can slice additional fruit on top of pancakes, or add whipped cream, jam, or raspberry sauce...they are sure to be scrumptious! 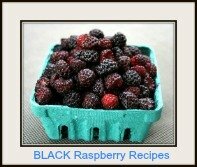 Here is a basic Raspberry Pancake Recipe to get you started...but, be sure to try the Recipes listed lower down as well! 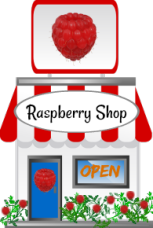 You can even make your very own Raspberry Jam or Jelly or Raspberry Sauce/Syrup to top your pancakes! Now, that's a Berry Good Idea! Beat with a whisk until the eggs are fairly smooth and a bit bubbly. Add the milk and cooking oil to the eggs and mix well. Gently, so as not to break apart the raspberries too much, stir in the raspberries. Heat the frying pan until a few drops of water bounce all over. Spray the pan with no-stick cooking spray or use a little shortening. Using a ladle or spoon equal to about 1/4 cup, scoop spoonsful of the batter into the frying pan. When the tops are bubbly and the edges are a bit dry, turn the pancake to brown the other side. Remove the pancake to a plate, and repeat this process till all the batter is used. Makes about 12 round pancakes. Do you store your flour the best possible way to ensure it remains fresh?